For you are the pawn, the savior pawn. जनाब ! अब आप ही बताएं कैसी है ये जिंदगी ? John Thomas is a full-time seeker, who is in a continuous search for meaning. To earn his livelihood, however, he does a lot of other things. He works as a Freelance Software Developer, a Freelance Content Creator, a Stocks Investor/Trader and anything else that interests him.He wants to write stories that can make a difference. And his debut novel, The Big Switch, was an honest attempt at sharing the message that it’s never too late to follow one’s passion. He is currently working on his second novel. You can find more about him here. This book is a perfect blend of wisdom and motivation. This story inspires like that of Alchemist, the popular motivational book which the author himself mentions in his story. I was initially reluctant to read another story woven around the corporate world. But much to my surprise, this tale is just fantastic, beyond words. This is a must-read for everyone, especially for those who are struggling or in a dilemma of choosing the correct career. The sagacious author has poured his acute wisdom about life, ups and downs and the way to happiness despite all the hurdles through this story. I would like to extend my heartfelt thanks to the author for writing such a beautiful piece which will definitely serve as a beacon to many like me. I would refrain from divulging the story here but would like the readers to dunk in this tale and experience the positivity and smiles it will bring to you. However, I would like to excuse myself for sharing some of the beautiful and insightful thoughts from the author here. "I'm definitely not living my dream. But I wouldn't have been this happy even if I was living my dream." "When you don't get what you want, you get something which is far more precious." "We, humans are powerful creatures. Look at all that we have created. 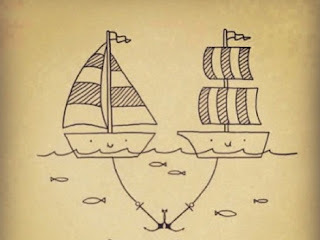 We can do anything." "Everyone is fighting his own battle, and it's your responsibility to be kind to them." "Magic happens if you follow your heart and magic does happen if only you believe in it." I am very glad that I came across this book and amazed at the author's ability to convey his message through a story in such a loud and clear manner. It is extremely intriguing and fascinating novel. If you will grab it once, you won't put it down until completed. 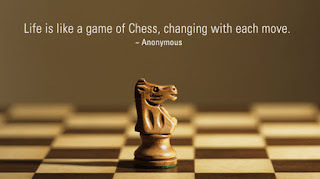 Go grab it, read it and experience the change. Rani Padmavati has suddenly sprang up from the history of Rajasthan to the big screen. The much draggy historical facts which once lulled have suddenly became so interesting that not only children but adults as well have started turning the pages. But is this the first time the slumber history has awakened to arouse the interest in the rabble or the rabble just wants to draggle the present in the pretense of a sceptical history? It was 2015 when the person sitting next to me in the train was unaware of a small town, Chittorgarh in the state of Rajasthan. But since 2017, the very town has become a busy affair because of tourists. 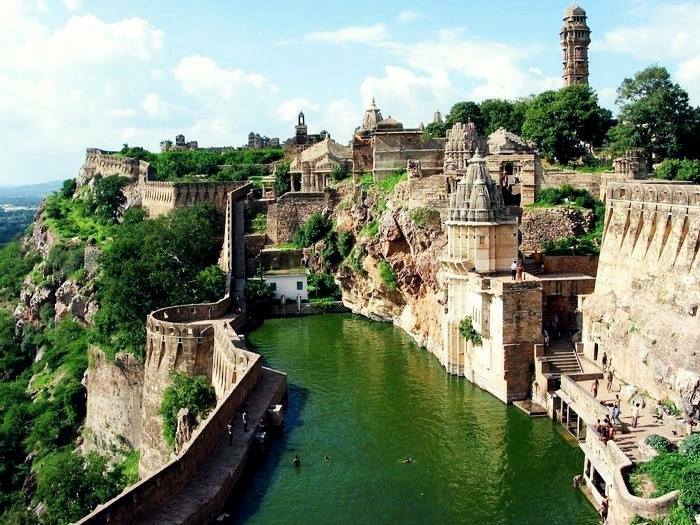 I am still in dilemma whether to thank the film director Sanjay Leela Bhansali or the Shri Rajput Karni Sena for bringing so much glory to the land of bravery and sacrifice, Chittorgarh. We can now witness the queen, her beauty, her bravery, her persona on the big screen when all what we heard since childhood was just fables of her beauty and her valor. But how can we dare to have a glimpse of her? when Rajput women, be it the queen or the dasi, all are bound to be under purdah. Are Rajputs superannuated? The veil is their pride and swords are their shaurya. These two Rajputana symbols are found in every Rajput household. The ladies under the veil and the men with the swords makes a very beautiful combination. Don't mistake their veil as their outdated fashion but it has been their culture since ages. Rajputs are very brave yet very humble, they are very hospitable yet possessive of their tradition, they are fierce yet very loyal. 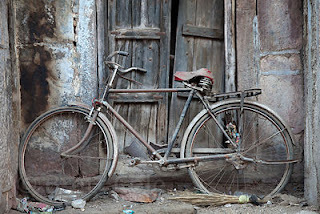 Rajasthan is a land of diverse culture and Rajputs form a major part of it. The rich legacy of Rajasthan and its traditions comes from Rajputs. 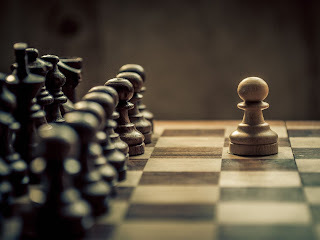 The history is testimonial to the Rajput courage, loyalty and chivalry. Maharana Pratap , Prithviraj Chauhan, Rana Sanga, all were the epitome of Rajputana courage. Rajasthan and Rajputs are supplementary to each other. "Raj-put" means "Son of Kings" and "Raja-sthan" means "Land of Kings". The patriotism shown by Rajputs has been legendary. They lived by the principle, "better dead than dishonored". And that's why the practice of jauhar and saka was followed only in Rajput communities. When the outcome of a battle was against the Rajputs, jauhar was committed by Rajput women and children in the night and next morning men committed saka. The Brahmin priests would chant vedic mantras and Rajput women wearing their marriage dresses, along with their young children, would embrace sandalwood flames. The next morning after taking a bath, the men would wear kesariya (saffron robes) and apply the ash from the mahasamadhi of their wives and children on their foreheads and put a tulsi leaf in their mouth. Then the palace gates would be opened and they would sally out either to annihilate their enemies or to be annihilated by them. Rajput men and women could never be captured alive. Many jauhars are recorded in the history which were performed by the Rajput women to protect their honor and dignity. But the jauhar of Chittorgarh led by Rani Padmini (Padmavati) is making the blood of Karni sena boil. The reason cited by them is that the revered Rani Padmini, who is treated as their maa (mother) has been shown in poor light. When we rub our eyes twice to find the poor light, the torch light stops at the fact that Deepika Padukone, the actress portraying the character of Rani Padmini, does some corporal show and dances in the courtroom, much against the Rajput ethics and culture. The first written evidence of existence of Rani Padmini is found in Padmavat, an epic poem written in 1540 by Malik Muhammad Jayasi, who at the end calls his work a figment of his imagination. Later Hemratan, James Tod , Abanindranath Tagore, also wrote about Rani Padmini. But the interesting fact is everyone says a different story of Padmini. This makes us think if a real Rani Padmini ever existed? 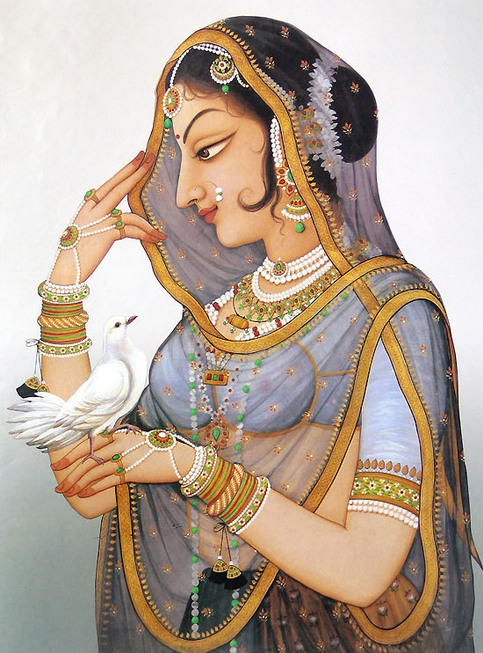 Rajasthan has a rich treasure of fables and folklores. These have traveled to the present generation via oral transmission only. In the folklores, there are mention of Rani Padmini and the brave Gora-Badal. The locals have listened to these ballads from their ancestors and have lived with the brave queen and the loyal Rajputs through these stories. 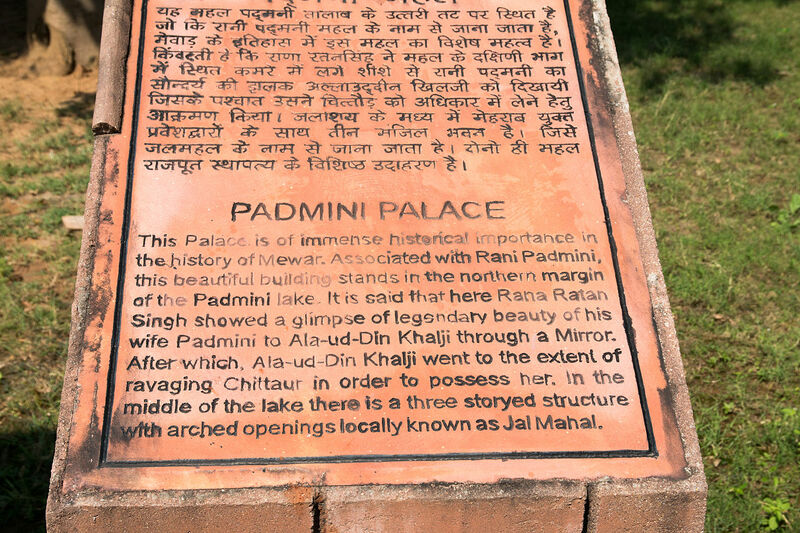 Apart from these, the Padmini Palace stands as a living testimonial to the existence of Rani Padmini and the adjacent palace where hung the mirror which reflected the beautiful queen to Alauddin Khilji. 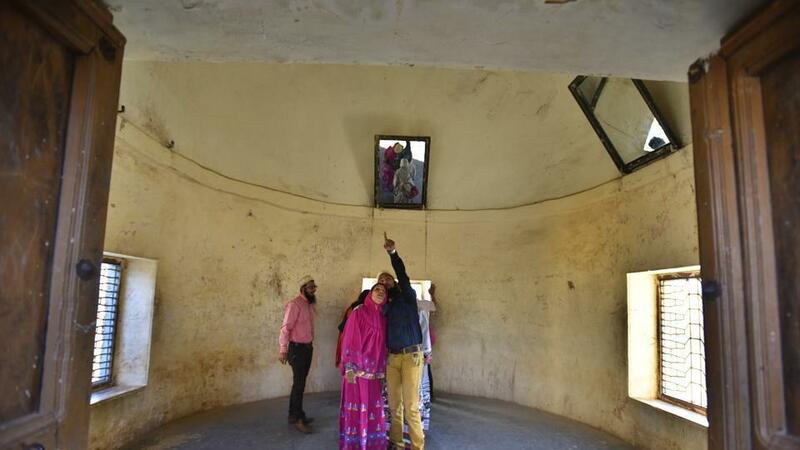 Besides these historical monuments, Jauhar Mela is hosted in Chittorgarh every year to honour the fearlessness and bravery of the Rajput ancestors and all the previous jauhars. Various residential areas, junctions, parks, societies, schools, shops, markets have been named after the historical figures of Pratap, Kumbha, Panna dhai,Gora-Badal etc. Even the oldest hotel in Chittorgarh is named after Rani Padmini which shows how the queen and Rajput warriors has lived with the locals from times immemorial. Historians may indulge in a debate over the existence of Rani Padmini but for the locals she always existed and they worship her for her valor. Despite the country-wide protest by the fringe elements calling themselves Rajputs, the city of Chittorgarh stood calm and brave. Nobody can cause a ruckus in the land of bravery where Padmini sacrificed her life and Rana shed his blood. After hearing and reading varied versions of Rani Padmini's tale, you may no longer wish to hear it again. But I would like to share the story I have grown up with. 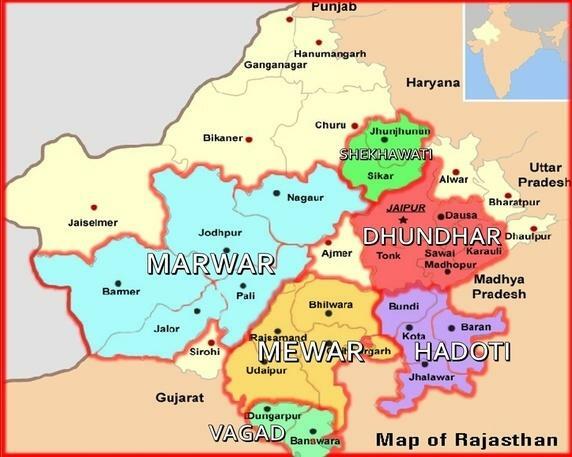 Mewar and Marwar are two different regions of Rajasthan which are often confused to be the same. The below map shows the enclosing areas. The present cities of Udaipur, Chittorgarh, Bhilwara and Rajsamand form the Mewar region. Mewar was the strongest Rajput kingdom and a bitter opponent of the Delhi Sultanate during 12th-13th century. 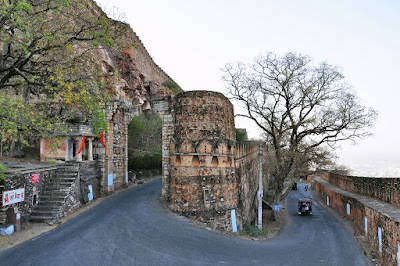 The seat of Mewar was the formidable fort of Chittor, the largest fort in the sub- continent. 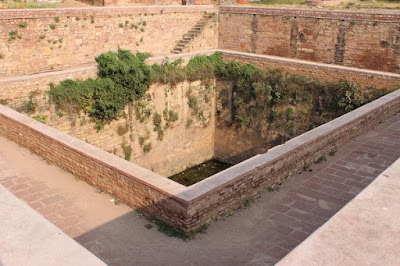 The fort had been constructed in the 7th century by the Mauryans (not the Mauryans of Chandragupta lineage). Spread across 700 acres the fort was situated on a hill top and was extremely well fortified. The then ruler of Chittorgarh was Rana Ratan Singh. Ratan Singh heard about the majestic beauty of Princess Padmini of Singhal kingdom (Sri Lanka) from a talking parrot. He gets determined to marry Padmini and visits her swayamvar. The king of Singhal had declared that whosoever will defeat their great warrior Padam Singh would be the right person for his daughter. Ratan Singh defeated Padam Singh with his astounding fighting skills. Later it was revealed that Padam Singh was no one else but Princess Padmini herself. Ratan Singh was greatly impressed by her beauty and combating skills. They got married and returned to Mewar. 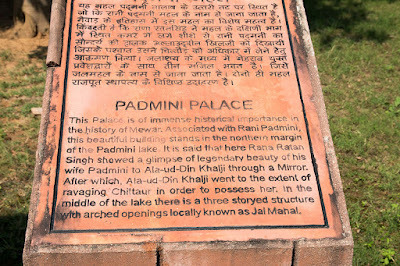 Padmini Palace where queen stood for her reflection in the pond. A courtier named Raghav Chetan was banished by Ratan Singh for some treason. He takes revenge of his insult by visiting the court of Alauddin Khilji and telling him about the majestic queen of Chittorgarh. Allauddin Khilji, intrigued by the tales of matchless beauty of Padmini decided to verify this himself. His armies surrounded Chittor, and sent a message to Rana Ratan Singh that he would spare the city if he could meet the famous queen. Trying to avoid a war , Rana finally reached on the compromise that the Sultan could look upon Padmini's reflection if he came unarmed into the fort. Accordingly, Khilji glimpsed a reflection of the beautiful Padmini standing by a lotus pool. He was awed by her beauty and his desire for her increased. He thanked Rana who courteously escorted Khilji down to the outer gate, where the Sultan's men waited in ambush to capture the Rana. Rajputs were informed that Padmini should be handed over to Khilji if they wanted to see their king alive. Gora and Badal, the leading generals in Ratan Singh’s army decided to beat the Sultan at his own game and sent back a word that Padmini would be given to Khilji the next morning. On the following day at the crack of dawn, 150-200 palanquins (covered cases in which royal ladies were carried in medieval times) left the fort and made their way towards Khilji's camp. Each palanquin was carried by four men from the Rajput army disguised as palanquin bearers and inside each palanquin sat some more fierce warriors. The Rajputs pretended to make arrangements to bring Padmini to Khilji's camp, but instead brought fierce warriors concealed in palanquins. In the ensuing battle, Rana Ratan Singh was rescued-but 7,000 Rajput warriors died. Gora died fighting Khilji's army, as Badal escorted the Rana back to the Chittor fort. The lustful Sultan got furious at this defeat and ordered his army to storm Chittor. But the army could not break into the fort. Then Khilji decided to siege the fort. The siege was drawn long and gradually the supplies within the fort were depleted. Finally Rana Ratna Singh decided to open the gates and fight with the besieging troops. 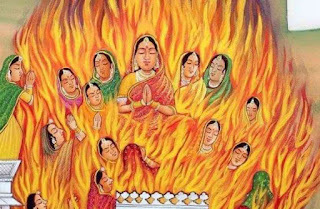 On this decision, Padmini decided that with their men-folk going into the unequal struggle with the Sultan's army in which they were sure to perish, the women of Chittor either had to commit self-immolation or face dishonor at the hands of the victorious enemy. The Rajputana blood in them called for jauhar. 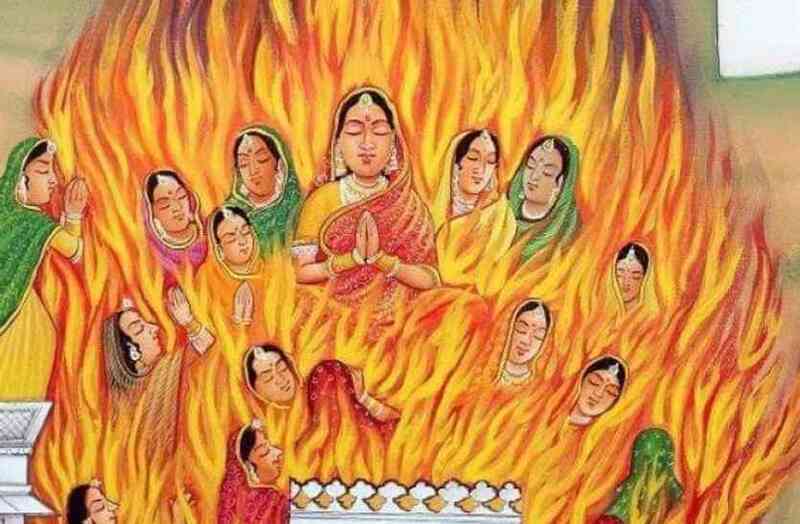 A huge pyre was lit and followed by their queen, all the women and children of Chittor jumped into the flames and deceived the lustful enemy waiting outside. 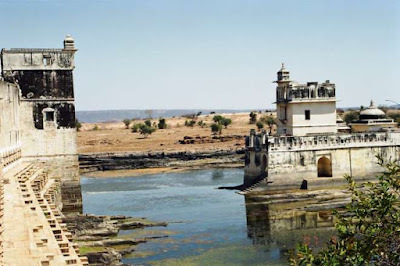 With their womenfolk dead, the men of Chittor had nothing to live for. They marched out of the fort and fought furiously with the huge powerful array of Khilji, till all of them perished. Khilji and his troops entered the fort only to be confronted with ashes of the women whose honour they were going to violate to satisfy their lust. These women who committed jauhar perished but their memory has been kept alive till today by bards and songs which glorify their act (which was right in those days and circumstances). This is not the first time the brave queen is making her advent on the screen. Her life has been woven into a story back in 90's as well. Chitoor Rani Padmini(1963), Maharani Padmini(1964), Bharat Ek Khoj (Epiosode 26 ,1988),Chittod Ki Rani Padmini Ka Johur (TV serial,2009) depicted the story of the queen variedly. But the fringe elements of Karni Sena would have been busy in some more important stuff at that time so, the queen didnt rose to her tainted glory as she has reached now. In the democracy of India, people have got every right to express themselves, to make their opinion heard and to protest as well. But not the right to jump into vandalism and hooliganism. Violence was never a solution nor will ever be a solution. To all the Banna and Baisa, please give a thought whether your revered Rani Maa Padmini would ever wish for a tainted glory. Things can be sorted out in a peaceful manner, if only you are willing to do so. When we strive for our fundamental right, we should also take care of our fundamental duty. After all, we belong to this very land and protecting it from external as well as internal disturbance is our duty. Glory to the brave ! He was a genius who belonged to a very humble background. He made groundbreaking contributions to his field without any formal education. He once said, "An equation for me has no meaning unless it expresses a thought of God." He was often considered a lunatic by his peers at school because of his hardheaded intelligence. He was often a loner. He had very few friends and hardly held any close assistance with anyone. When once asked, "You don't seem to have friends. Why do you hesitate in building a close friendship with anyone? " 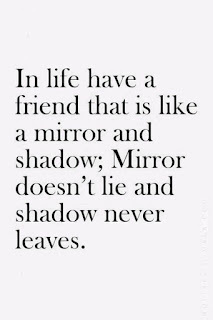 He calmly said, "I wish I could have close friends but I haven't found anyone yet who fits in my definition of a true friend." The person was very curios to know what a genius like him looks for in a friend. What are the qualities you look for in a person to befriend him? I look for a relationship like the numbers 220 and 284 share with each other. Errr...What? I think either you got my question wrong or I'm unable to decipher your answer. You heard it right, these two numbers are the epitome of a true friendship. How? Can you please explain? Okay, just write down the divisors of both these numbers. After a little difficulty, the person listed the divisors as instructed. Great, now can you please sum the divisors of each number excluding the number itself. The result was astonishing. The person got his answer as he calculated the sum. 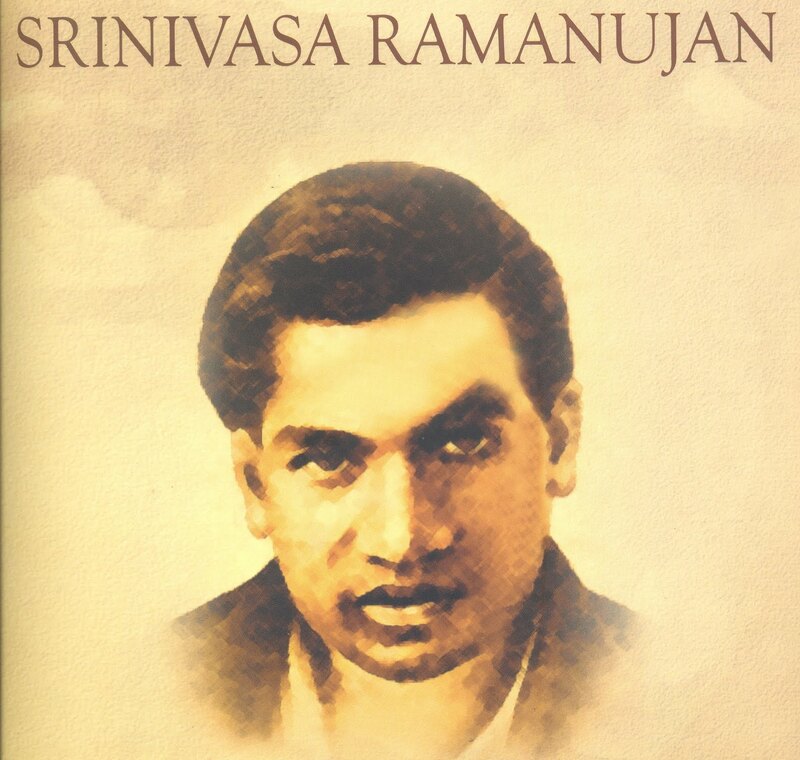 He looked up in awe at the greatest mathematician of the century, Srinivasa Ramanujan. He was confounded at Ramanujan's expertise and understanding of subtle human relations. The number 220 represented the number 284 in its absence and vice versa. Both the numbers contained within themselves the other one. An ideal friendship should be like these two numbers, to complement each other, even when one is absent, the other should represent the friend. These two numbers, though different from each other, represented a mutual connection at a deeper level which is required the most in a close-knit friendship. Even after decades, Ramanujan’s theory for a close friendship holds true. 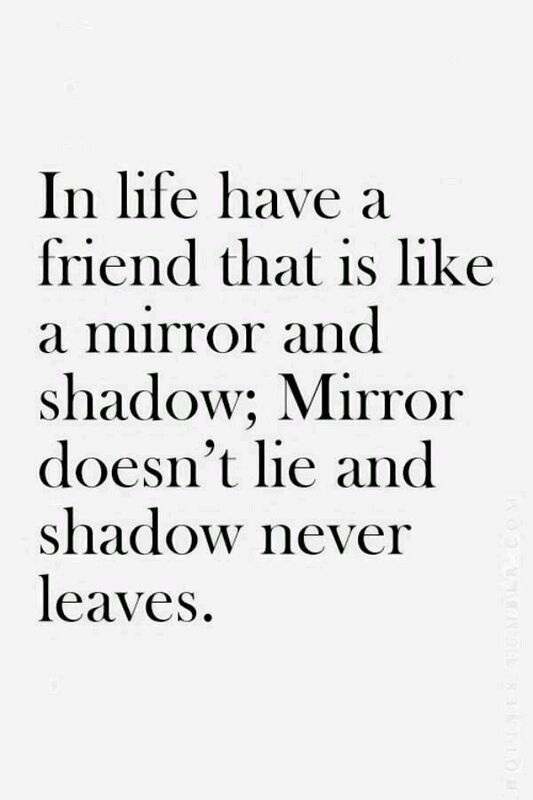 If two people can have ingrained in them the same set of core values and qualities and if one can mirror the qualities of the other even in the other’s absence, then such two people can symbolize and represent a true friendship. 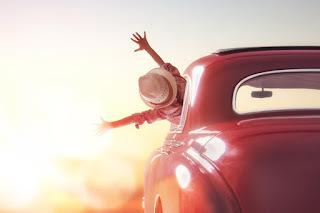 In this journey of life, we meet many people, some pass-by, some leave behind an impression and some stay by our side. We carry a glimpse of everybody we meet. We often don't realize but we mirror the basic traits of people who are closely associated with us. We can't be sure of the time we would live that bond but one thing we can be sure of is embody the best of the other in ourselves and exude the goodness even when the other is not around. Be the 220 and 284 and leave the rest to the principles of Mathematics. This world will become a more better and happier place than before. अब कौन करना चाहेगा उसकी सवारी ? Do you want to have a roller-coaster ride with just words in your hands.Get onto my space and feel the butterflies in your stomach. A little dizzy but a tangy ride at the end. "Silly Smiles...Take you Miles...."